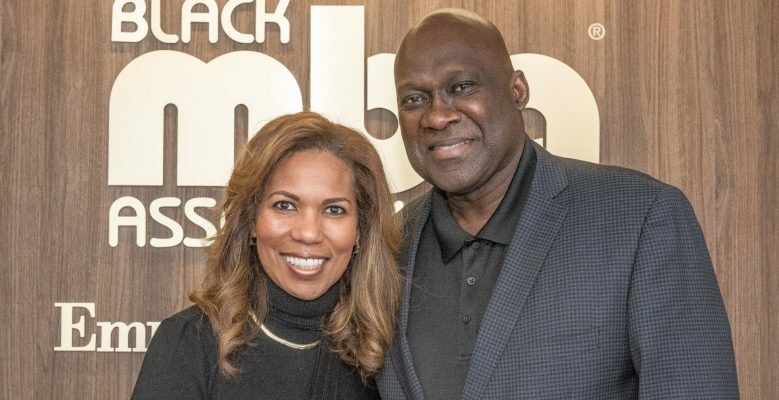 The CIAA, the nation’s first African American athletic conference, hosted the highly anticipated Minority Business and Leadership Symposium in Charlotte, NC in February. 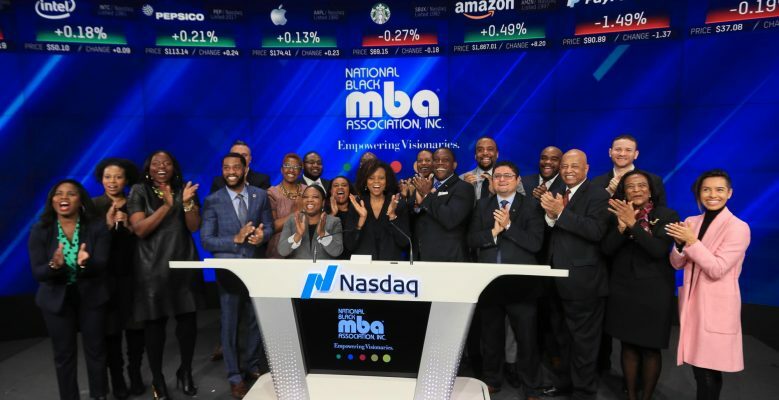 National Black MBA Association® recognizes Historically Black Colleges and Universities as a true source of academic accomplishment and great pride for the Black community, as well as the entire nation. 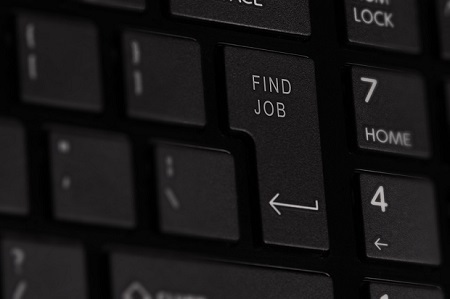 At NBMBAA®, we are committed to the professional advancement of our members and are continuously seeking new opportunities and benefits to provide HBCUs. 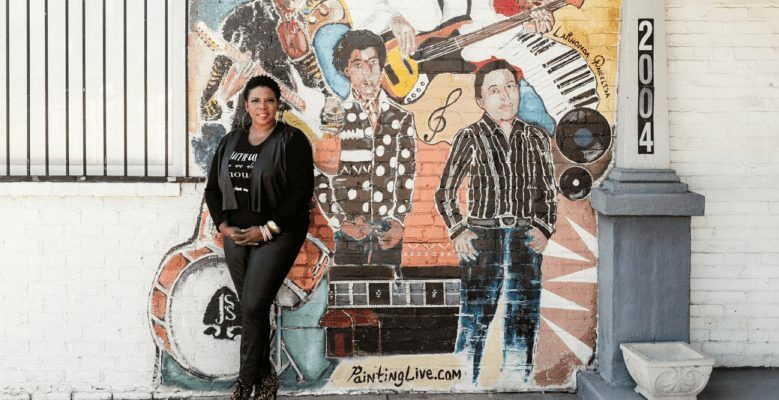 Whether you’re an entrepreneur in Charlotte, North Carolina, or interested in taking advantage of the business opportunities in the Queen City, then the 2019 CIAA Charlotte Minority Business and Leadership Symposium is where you need to be! I want to personally wish each of you a great holiday season and pray that 2019 brings you great personal and professional success! 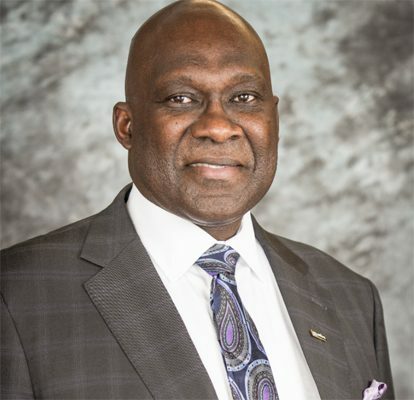 The National Black MBA Association® made great strides in executing against our strategic priorities in 2018. 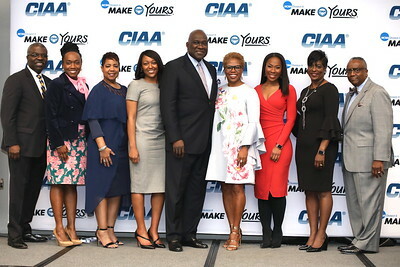 The Central Intercollegiate Athletic Association (CIAA®), the nation’s first African-American athletic conference, is bringing back the highly anticipated Minority Business and Leadership Symposium as part of the off-court activities during the 2019 CIAA Men’s and Women’s Basketball Tournament. 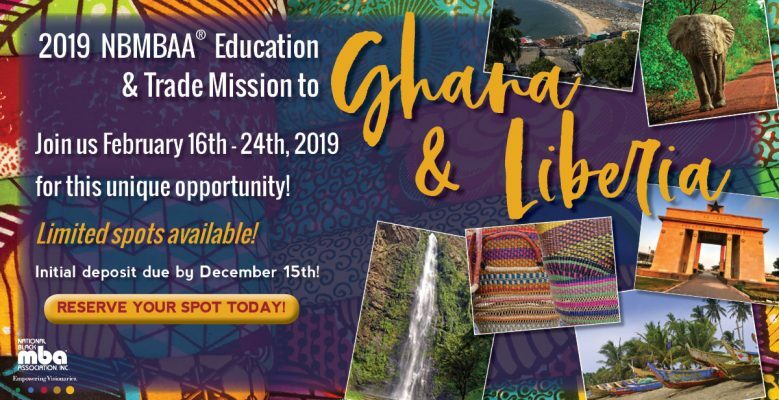 Atlanta‘s ambition to become increasingly connected with the continent of Africa will take another step forward next year as its local Liberian consulate and Ghana‘s chamber of commerce collaborate with the National Black MBA Association® on an educational and trade mission to West Africa Feb. 16-25.